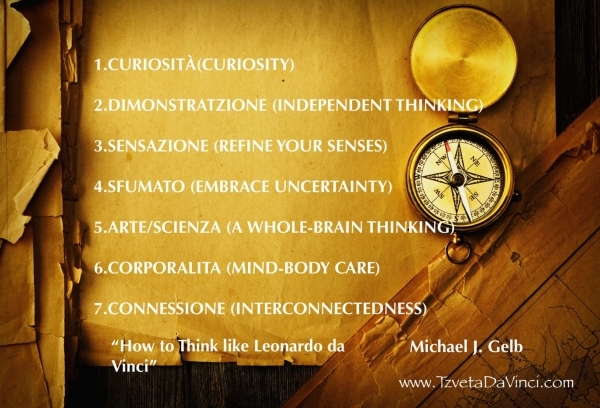 Michael J. Gelb in his book “How to Think like Leonardo da Vinci” captured 7 principles from Leonardo’s way of being in the world. They are more valid now than ever. Curiosità, or curiosity, marking his insatiable quest for knowledge and continuous improvement. According to Leonardo curiosity is more concerned with asking the correct question, rather than getting the correct answer. Dimostrazione, (Independent thinking) or demonstration, testing knowledge through personal experience rather than taking others reports for granted. We know well that mistakes are more easily detected in the works of others than in one’s own. When you are painting you should take a flat mirror and often look at your work within it, and it will then be seen in reverse, and will appear to be by the hand of some other master, and you will be better able to judge of its faults than in any other way. Sensazione, (Refine your senses) or sensation, continued refinement of the senses to sharpen observation and response. 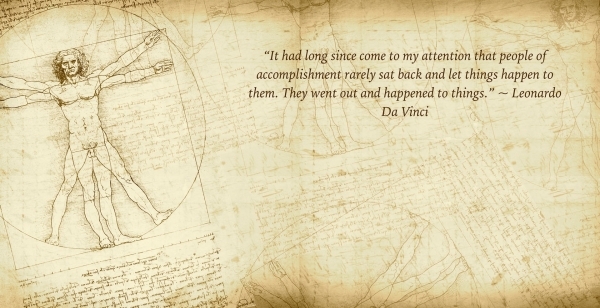 Sfumato, (Embrace uncertainty) a painting technique employed by Da Vinci to create an ethereal quality in his work, showing his ability to embrace ambiguity and change. Corporalità, or “of the body,” representing his belief that a healthy mind requires a healthy body and the importance of cultivating both fitness and poise. Connessione, systems thinking or connection, for his habit of weaving together multiple disciplines around a single idea, recognizing and appreciating that all phenomena are connected.